4th Annual Picture Day with Smokey - H.A.L.T. It’s football time in Tennessee! 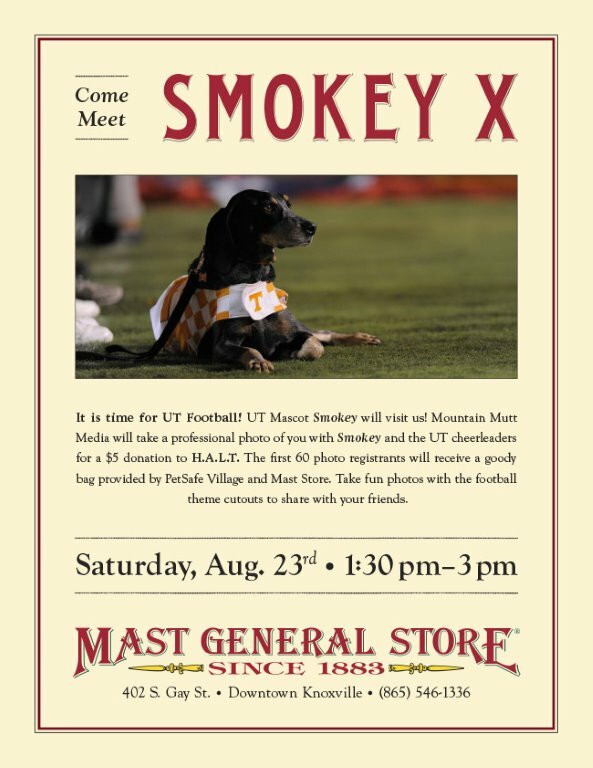 Come to Mast General Store to meet the University of Tennessee Volunteers mascot Smokey X and the cheerleaders on Saturday, August 23rd. Registration for photos start at 1pm, and Smokey will be there from 1:30pm-3pm. Photos will be provided by Mountain Mutt Media. We will have goodie bags for the first 60 sign-ups that will include treats, coupons and gifts from Mast General, PetSafe and more. 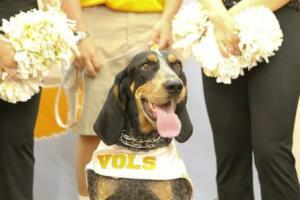 Smokey will have to leave at 3p, so be sure to get there early!